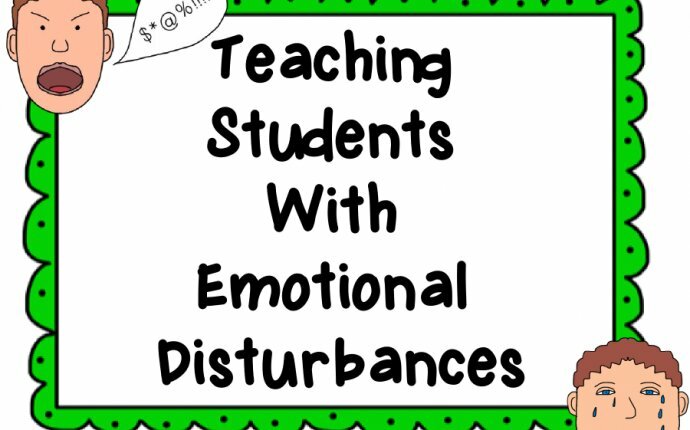 Students who suffer from Emotional and Behavioral Disorders, or EBD, very often find it difficult to control their behavior and work as productive members of a classroom. EBD kids commonly lack the impulse control and the emotional balance that is necessary to handle social interactions with other students effectively. This can be challenging for a teacher, especially in an inclusive classroom where only a portion of the students have EBD. While these types of scenarios can be quite challenging at times, there are ways to make things better in the classroom. EBD students’ behavior can be moderated and controlled by implementing a classroom management plan that is specially tailored to meet the specific needs of these students. Here are five effective strategies teachers can use to manage an inclusive classroom. By including clear activities in your classroom, your students will be engaging and interacting with the lesson plan, ensuring that they will be learning alongside other students. While you will at times have to discipline children for improper behavior, remember that rewarding positive behavior is ultimately far more effective in the long run. A great many Emotional and Behavioral Disorder students tend to take any discipline as a personal attack. Because of this, unfortunately they learn very little from it. Try to celebrate the successes of these students more than you reprimand or punish their mistakes. When these students receive positive feedback and rewards, they start to see that there is a positive benefit to good behavior. They will then start to see you as more of an ally than an adversary, and this will in turn motivate them to want to behave and do well in your classroom. Take time to periodically stop teaching and allow students to catch up if need be. Give them time to finish their assignment, and allow those who have finished to stretch, get out of their seats and move around a bit. This will allow them to burn off any excess energy that might have built up from sitting still for a long period of time. Students with Emotional and Behavioral Disorders often do not respond very well to situations that appear unfair to them. This can trigger a cascade of negative emotions and acting-out behavior. If EBD students feel they are not being treated fairly and with the same consideration and respect as their peers, their behavior will be affected. While having EBD kids in your classroom can at first seem daunting, there are proven ways to help cultivate and keep a harmonious spirit of learning. The good news is that many of these strategies for success can help your non-EBD students as well. Follow these five tips, and you’ll create an atmosphere where all students can excel and thrive.